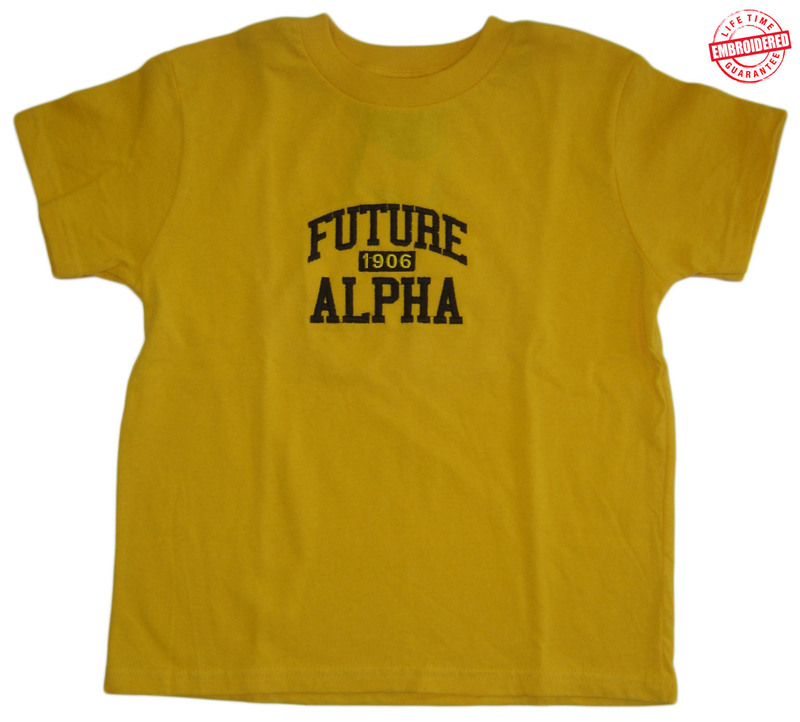 Future Alpha Phi Alpha T-shirt. Infant, toddler, and youth sizes available. Yellow gold crew neck t-shirt with black text. Embroidered, high quality t-shirt.